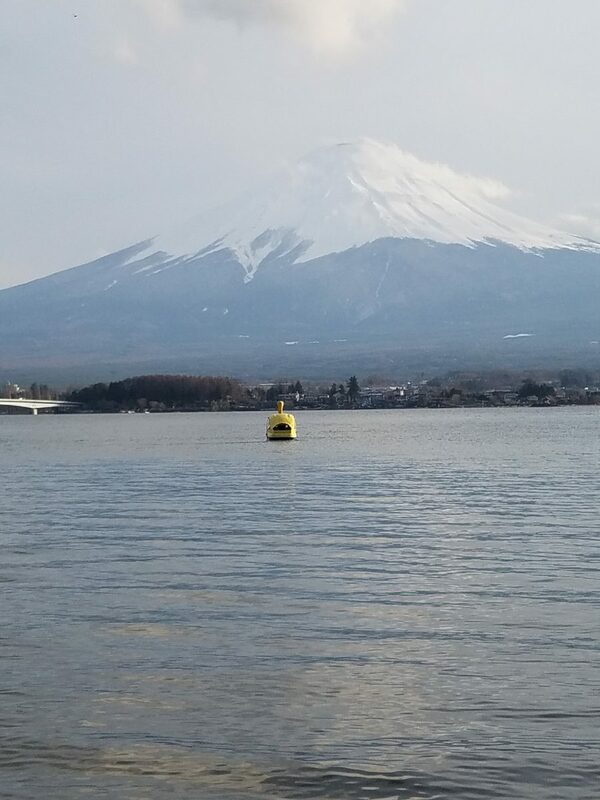 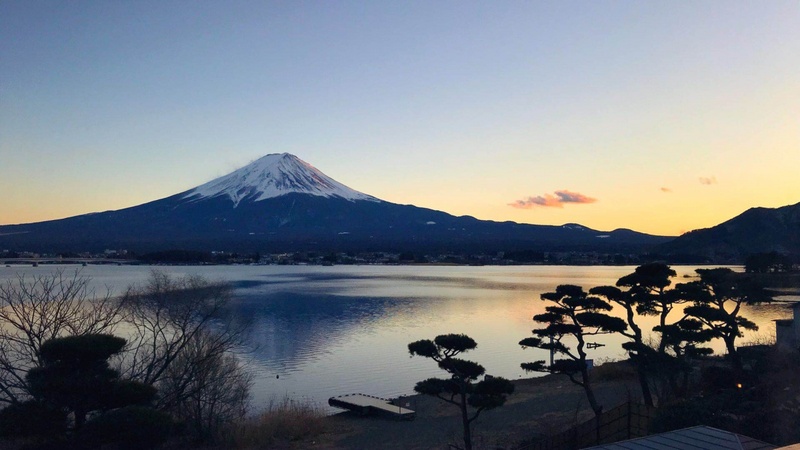 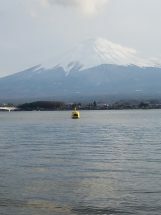 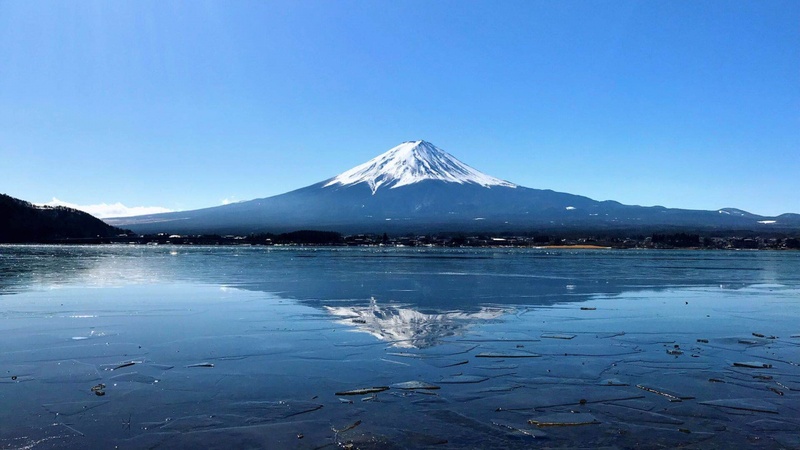 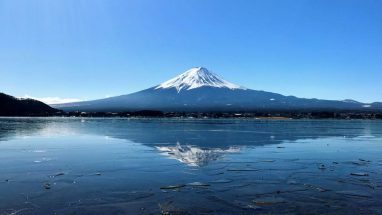 During the late winter and early spring, ice on Lake Kawaguchi felt the warmth of sun and started to melt, everything are about to grow, it is the most anticipated time! At sunset, feeling very comfortable while on the way home, with a warm glow of light upon the sky, and pine trees beside Lake Kawaguchi. While breaking dawn, a fire like color reflecting the snow cap of Mt. 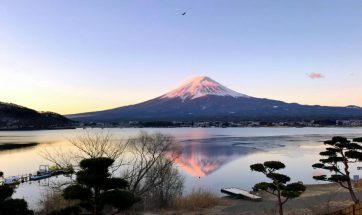 Fuji, the eagle soaring on the sky, a new day began!